Are you one of countless patients who believe that you might be suffering from tension myositis syndrome facet joints? If so, your open-mindedness and willingness to explore this possibility might just lead to the cure that you have been hoping for. It is obvious that not all facet joint pain is of mindbody origin. However, it is also crystal clear that many examples of facet syndrome are non-structurally motivated and might be classic cases of TMS, rather than any type of anatomical pathology. This dissertation investigates the mindbody link between facet joint pain and underlying psychoemotional causation. We will discuss the primary gain pain syndrome theory and cite clinical experiences wherein patients have been completely cured of debilitating pain with nothing more than the effective application of knowledge therapy techniques. Does the answer to facet joint syndrome universally reside in drugs, injections or surgery? Certainly not in every case. Facet joint degeneration is universal. We all have it or will soon develop it. Some of us have minor deterioration, while others demonstrate really extreme degeneration of these anatomical structures. Ironically, the extent of facet joint degeneration rarely correlates to the degree of pain experienced. Some patients are positively diagnosed with facet joint pain, yet display typical or even less than typical joint aging. Meanwhile other people demonstrate truly remarkable levels of severe joint deterioration, hypertrophy and arthritis, yet have no pain currently and never will. This is proof positive of the truth of the old medical ideology: “Atypical structure is a poor predictor of pain”. Facet syndrome symptoms are most often blamed on facet joint degeneration, but there can be other causes of pain, as well. Tension myositis syndrome is one of those alternate possibilities. In this case, the pain might be blamed on facet joint changes due to age or injury, but is actually the direct result of the mindbody process. Some would call this psychosomatic, while others would call it psychogenic. However, due to the often negative connotations of these terms, Dr. John E. Sarno of the Rusk Institute of Rehabilitation Medicine at NYU has named the syndrome TMS: Tension Myoneural (formerly Myositis) Syndrome. TMS is an invisible process wherein the mind purposefully creates pain and other symptoms, often near sites of anatomical irregularity, in order to serve a psychoemotional goal. This goal is called the primary gain theory of pain. Primary gain describes conditions that do not qualify as “psychological overlay” or the desire to benefit (consciously or unconsciously) from pain. Instead, primary gain serves a specific psychoemotional imperative and that need is to protect the patient against underling emotional turmoil below the conscious level. In essence, primary gain symptomology is a defense and distraction mechanism. What could possibly exist in the mind to require such drastic action? The answer to this inquiry is the universally experienced emotional sensitivities that we all carry with us below the conscious surface. These repressed and suppressed thoughts, feelings and experiences are extremely powerful and will have lifelong consequences to us in many ways and particularly on our overall health and wellness. We know that the mind is at least partially responsible for creating all states of disease and health. We also know that the mind will sacrifice the body in order to benefit its own needs. This is apparent in many physical expressions of the anatomy that are linked to activity in the mind, such as blushing when embarrassed, the inability to perform sexually when conflicted or guilty, the sudden surge of headache or stomach ache to avoid stressful situations, the boosting or undermining of the immune system in response to psychoemotional stress and countless others. Tension myositis syndrome remains a highly controversial topic for many reasons. Some doctors have lent their full support to the idea, while others embrace it only partially. There are also plenty of care providers who do not support the idea, instead choosing to hold Cartesian medical philosophy as the only logical explanation for pain and disease. We at The Cure Back Pain Network have written about Dr. Sarno and his work with TMS for more than fifteen years. We are strong advocates of mindbody medicine, since we have seen the proof of the validity of TMS in clinical practice. Our main problem is that Sarno’s work is far from complete and the diagnosis of TMS, in particular, is far too limited in scope. We tend to look at the much larger picture of mindbody medicine than Sarno is famous for writing about. We also know that Dr. Sarno himself saw that his findings were just the tip of the iceberg, but was winding down his medical career and could not go on publishing forever. It is up to the next generation of doctors and scientists to continue where TMS leaves off. To learn more about the link between the body and the mind and how that relationship can create terrible suffering, please read our detailed coverage of Dr. John E. Sarno’s ground-breaking work in relation to facet joint syndrome. You can find many essay on our sites using the search function to query Sarno or tension myositis syndrome. 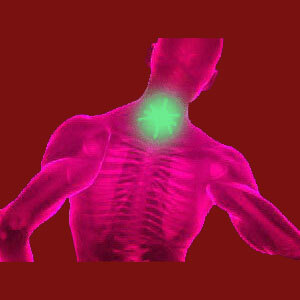 When it comes to facet joint syndrome, many cases are obviously enacted by the mindbody process exclusively. There is no structural basis for the pain, since the degeneration expressed is considered normal and no definitive pathology is present. However, other patients have structural problems, but demonstrate considerable psychological overlay of pain that intensifies and prolongs their suffering. Then there are the patients will purely anatomically-based pain. According to Dr. Sarno, these are rare, but we find them in adequate numbers in clinical practice. Therefore, we never assume that any pain syndrome is anatomically-motivated, psychoemotionally-motivated or a combination of both, without a full investigation of all of the above options. We strongly suggest that as a patient, you do the same. Anything less will increase the chances for misdiagnosis and abysmal treatment outcomes exponentially. Cure-Back-Pain.Org contains the largest encyclopedia of tension myositis syndrome information on the web. We highly recommend it for patients who are interested in learning more about Dr. John Sarno and his TMS diagnosis.